Well here I am in Savannah and once again I find myself in love. In love with the food, in love with the drinks, in love with the people – simply in love with the low country and it’s easy lifestyle. Today I took the tour around the city. I learned the history of this beautiful city and got to view the many beautiful squares and buildings in the historic district. I watched the horse drawn carriages pass by. 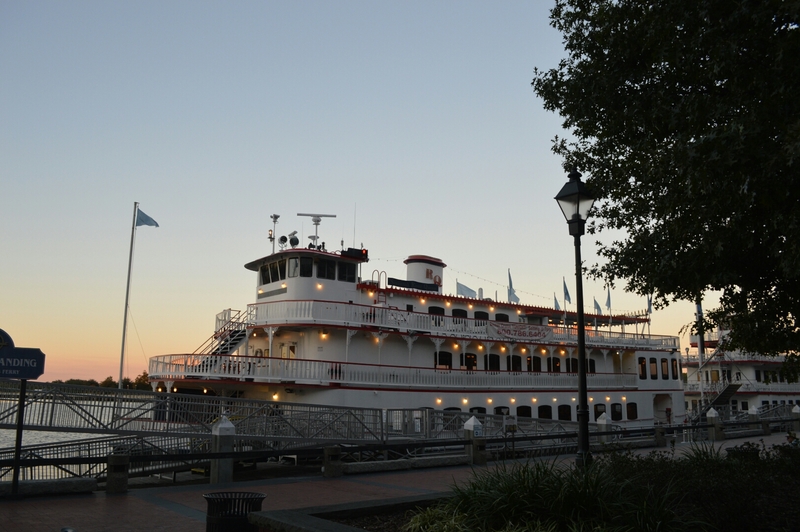 After I checked into my hotel and had a couple of my new favorite cocktails (Sazerac) in the rooftop bar of my hotel overlooking the river, I walked on River Street. 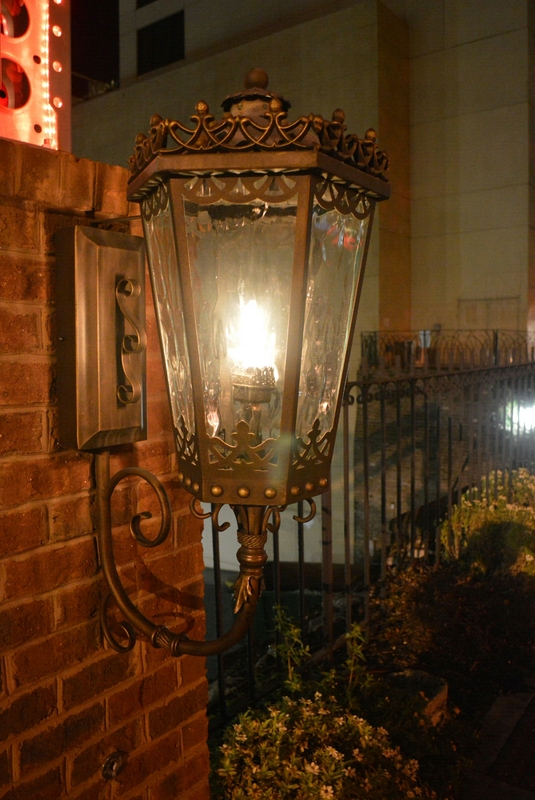 Here’s a great old gas light I passed on my way back to my hotel. 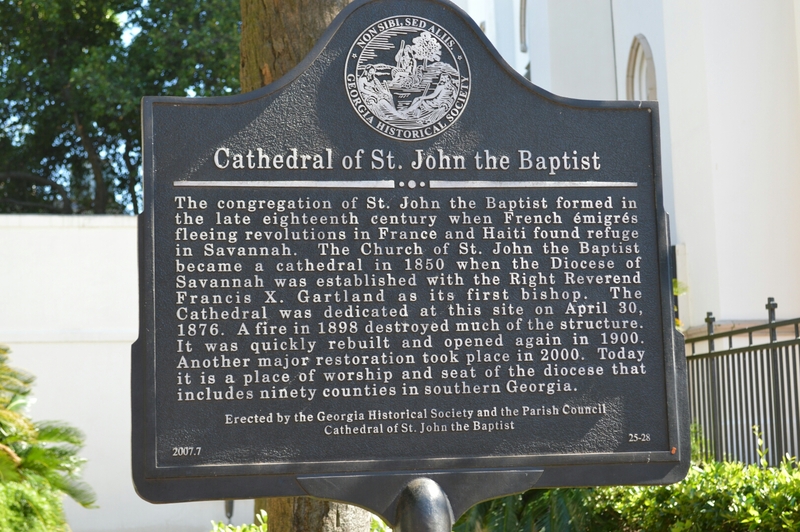 This entry was posted in Adventures and tagged River Street, Savannah Georgia, St. John the Baptist Cathedral. Bookmark the permalink. Sounds like you are having a great trip. Congratulations. Steve, I am visiting a friend in Asheville and we decided to go to Charleston and Savannah for a few days. Gosh, I just love the low country and the east coast, feels like home to me. Remember I told you when I left the NY NJ area it was Tucson or Savannah, I chose Tucson because of family being there, but I really do love Savannah. I would like to spend some time there myself. Drove through Charleston but never Savannah, and to think, I lived in Macon, GA, but was too poor to travel beyond to work. 🙂 Enjoy. 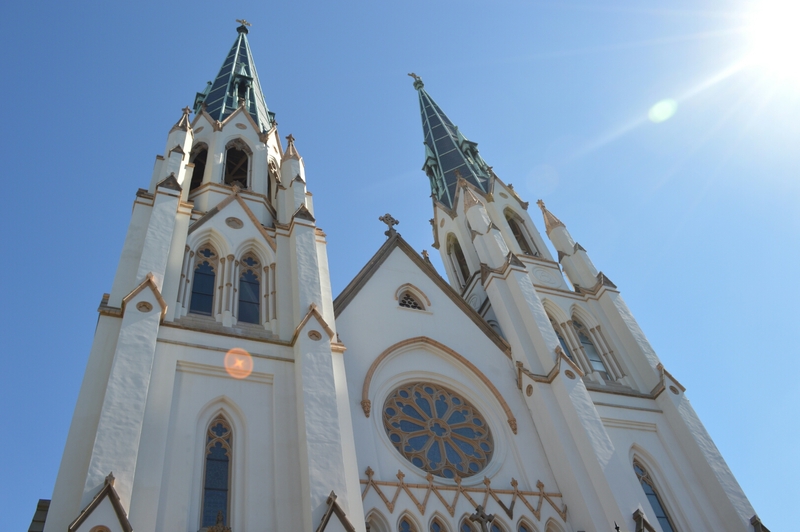 Savannah is one of our favorite cities. Don’t you just love the moss hanging from the trees, the food, and the historic area. If you are going to be there tomorrow you have to try Mrs Wilkes Boarding House for lunch. It is in an old house and has several lunchtime seatings. Everyone sits around one of several large tables and the food is served family style. It was inexpensive and very very good. I just looked it up. It’s $18 open from 11am to 2 PM. No charge cards and no reservations. You may call and make sure they are open – 912-232-5997. Their site is mrswilkes.com. Oh dear I’m making myself so hungry!! Sounds like you are having a wonderful trip. Isn’t it wonderful to visit/live in a city where horse and buggies are still around?! They add so much otherwordly charm (and a bit of quirkiness too). Thanks for sharing stories and photos! 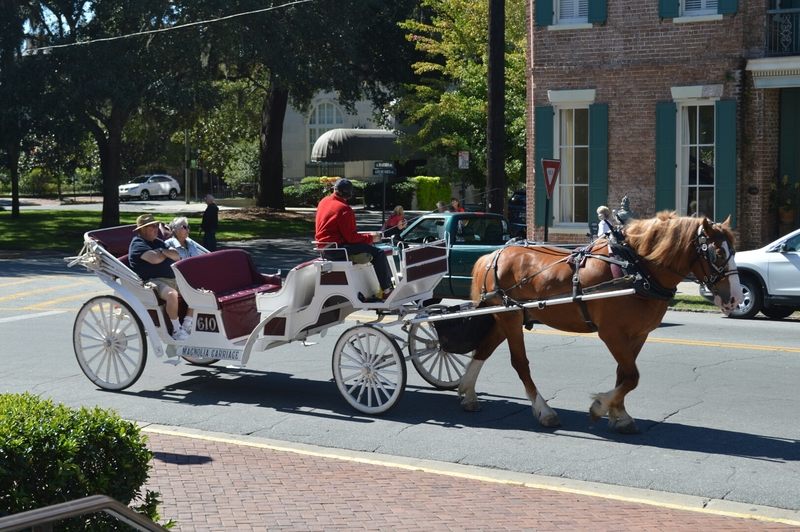 I love Savannah, and yes you are so right the horse and buggies make it that much more special. 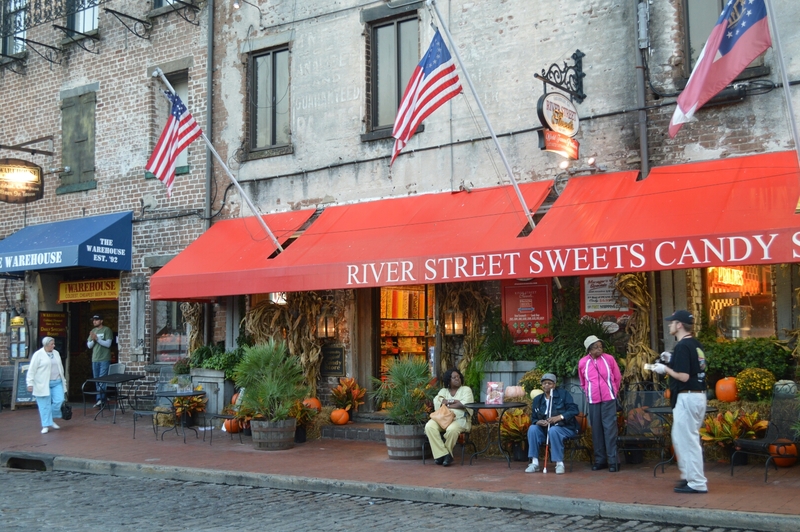 For me, Savannah is a city full of history and yet so vibrant, I’d love to live there. now I want to go there! Let’s make a plan to go to Savannah in the Springtime. I’d love to spend more time there. Talk to me about it when you get back from Italy. Oh the memories of the most romantic city in Georgia. It was also a choice I wrestled with for two years, Savannah or moving back to the west coast. Had great job offer, the comfort of family also called me. Hmm, we must have been called to Tucson for reasons we have not discovered. The joy of travel, exploration, learning new cultures and regions + the pleasure of meeting new people! Lynda gave you my favorite place to eat in Savannah, Mrs Wilkes. Enjoy and have a Sazerac for me! When I get back home, I’m planning to purchase some absinthe so I can make Sazeracs. I’ve decided they will be my new winter cocktail as I’m practicing to become a Southern Belle (hmmm, I’ll have to do something about this NY accent y’all). Lovely photos Arlene of a lovely place, I have never been there of course. 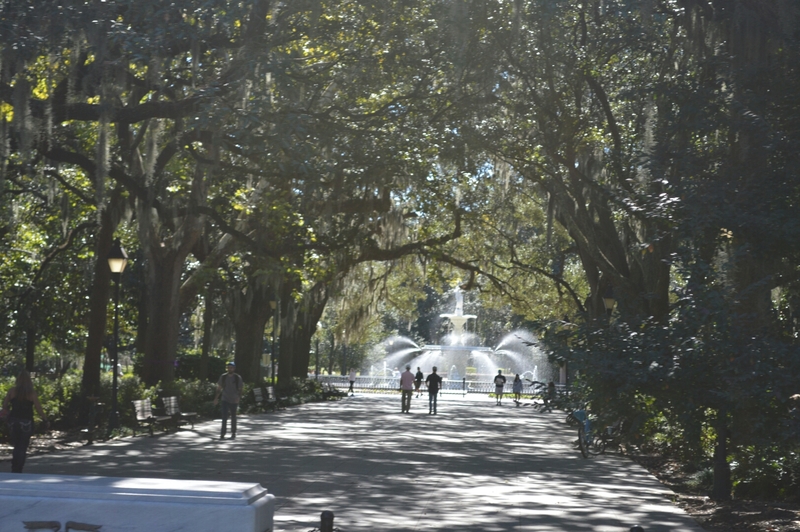 It was a great road trip, I love Savannah and as I have said many times, it was a toss up between Tucson and Savannah when I retired, but Tucson won the toss – may just now be the time to reconsider that decision. I’ll talk with you when I get home – hope you and Ken are doing well.